What rat is that ? This Laughing Kookaburra, photographed on a property at Reedy Creek, has captured a fair-sized meal, but what exactly is it ? Judging by the relative proportions of the bird and the prey’s tail, our guess is it’s a Bush Rat (Rattus fuscipes) – any other ideas out there ? A kookaburra’s diet can include snakes, lizards, rodents, frogs and small birds, but they live mainly on insects and other invertebrates. ← Not just for the birds ! I’m with Pam. The long tail, coat colour and pink feet point to a Black Rat. 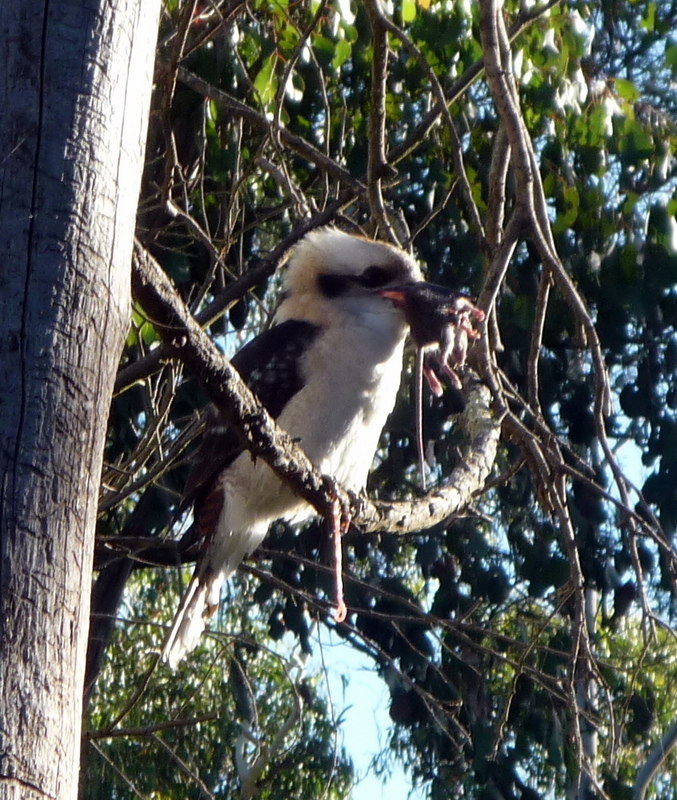 Either way, I wonder if the Kookaburra caught and killed it, or got lucky?